With winter right around the corner, we thought it would be helpful to provide our readers with a recap of the hottest office design trends that hit the scene this fall. 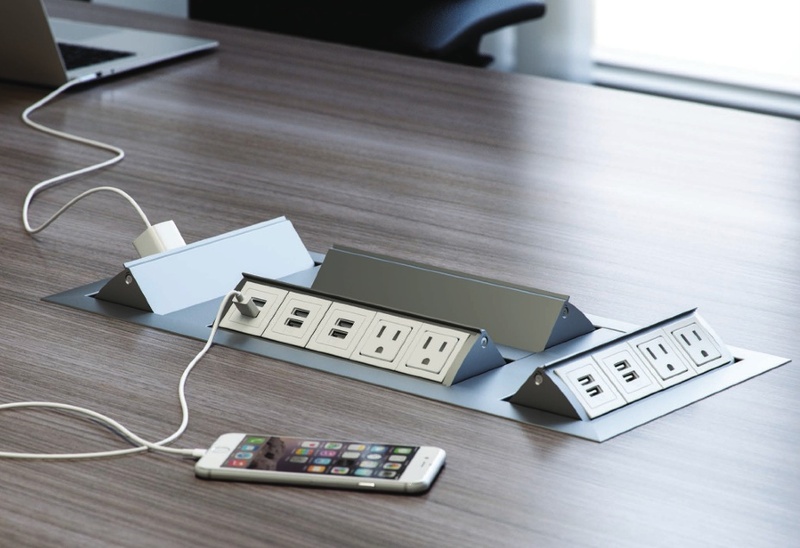 From mid century modern office chairs to portable power modules, the top brands were hard at work introducing cool new products designed to improve productivity and operational versatility. Rest assured, these trends are sure to be enhanced and expanded upon throughout the winter season. This season we saw a ton of cool office chairs hit the market with mid century design characteristics. 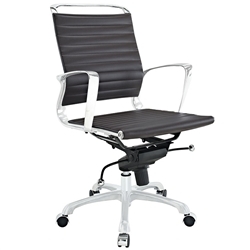 Mid century modern office chairs are perfect for conference room and home office applications. Chairs with mid century attributes are typically sleek and not equipped with a ton of adjustment features for all day tasking. That said, they're perfect for light use and great for maximizing space. From the lobby to the boardroom, powered office furniture has been hot. In guest waiting areas, lounge chairs with USB inputs make it easy for guests to work while they wait and charge devices without the fear of draining battery life. 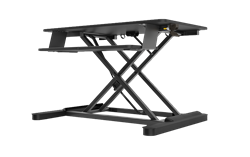 In the boardroom, a powered table with HDMI inputs will make it easy to host presentations. Rest assured, this trend isn't going anywhere. The sit to stand movement has made its way to the training room. Industry innovators like MooreCo are paving the way with awesome training room tables that can be raised and lowered to create stadium style environments with clean sight lines. 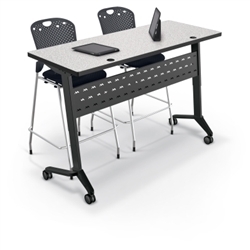 Many of the height adjustable tables from MooreCo even boast folding tops that allow them to be easily nested along perimeter walls when not in use. If you're looking to make your existing workstation ergonomically correct, a desktop convertor is the way to go. This fall, brands like ESI rocked the market with innovative sit to stand desktop attachments like the S2S that reduce the need for extended sits, fight fatigue, and improve posture. 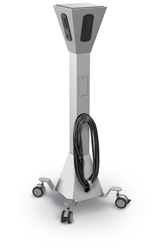 The popularity of desktop convertors has made them more widely available and cost effective. Be weary of cheap knock offs and imitations that aren't built for everyday use. Tablet chairs have gone from a trend to an industry standard. More and more businesses are making the switch to tablet chairs for waiting room use and even private work spaces. Brands like OFM, Inc. are crafting some of the coolest new tablet chairs on the market. 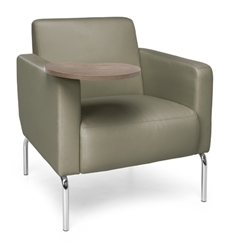 Their seating solutions like the ORO and Triumph will give your interiors the edge. 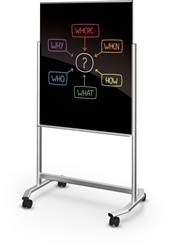 Improve collaboration in training room, classroom, and conference environments with mobile presentation boards. If you're tired of traditional workplace products then take a look at the glass presentation boards from MooreCo. They're incredible versatile, well made, and easy to use in throughout group strategizing sessions. This trend is just getting started and set to really explode this winter! Last but not least, if you're not looking to invest in all new powered office furniture for your business, you can enhance your interiors with universal power modules that can be taken anywhere throughout task filled work days. Nearly every reputable manufacturer is now crafting some kind of portable module that can be used effectively in classroom, training, and conference environments. Portable modules are typically available for less than $200.00 and really come in handy.